In the past couple years, then men’s haircut has evolved beyond the basic buzz or classic trimmed styles. Men are rocking angled, edgy cuts that share the same level of complexity and changing trends as women’s cuts. 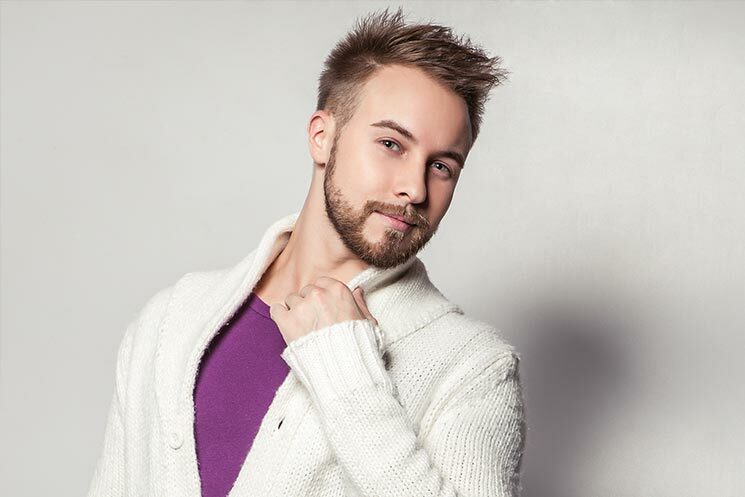 The professional stylists at Salon Sleek keep up to date on the latest men’s looks and can transform your hair into a killer cut. Some of the hottest trends are angles and textures—from short sides and long tops to fringes. If you already rock a distinct haircut, feel free to explore a new look. The team at Salon Sleek will consult with you on your preferred length, hair care routine, and maintenance to see what cut fits your lifestyle. We can also tailor a more stylized haircut in a way to minimize maintenance and effort for the busy man on the go. Your stylist will also recommend products that can simplify your routine and keep your cut looking fresh all day. Our products are specially formulated for men and easily fit into your daily routine. The great thing about a men’s haircut is that the classic look will never go out of style. You can still look fresh and handsome with the simple trimmed style. Our stylists will tailor your haircut to suit your face and hair type—minimizing the daily routine and need for trims. We also look out for your hair’s health and can suggest shampoos and conditioners that will keep your scalp and hair feeling nourished and strong. Whether you want to try a trend or keep it classic, call Salon Sleek today to schedule your men’s haircut!